With the drop in temperature lately, you can definitely tell fall has arrived! 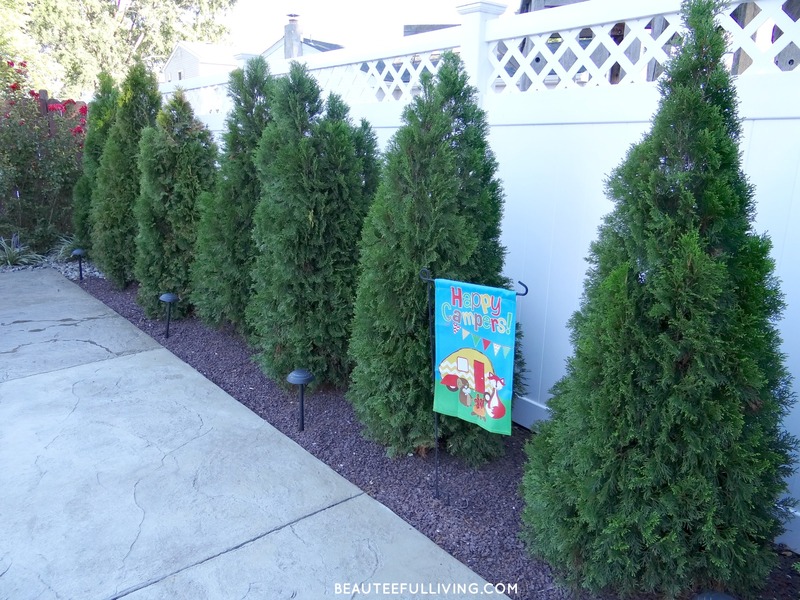 On the blog today, I’d like to show you some of the changes I’ve made around the outside of our home for this season. 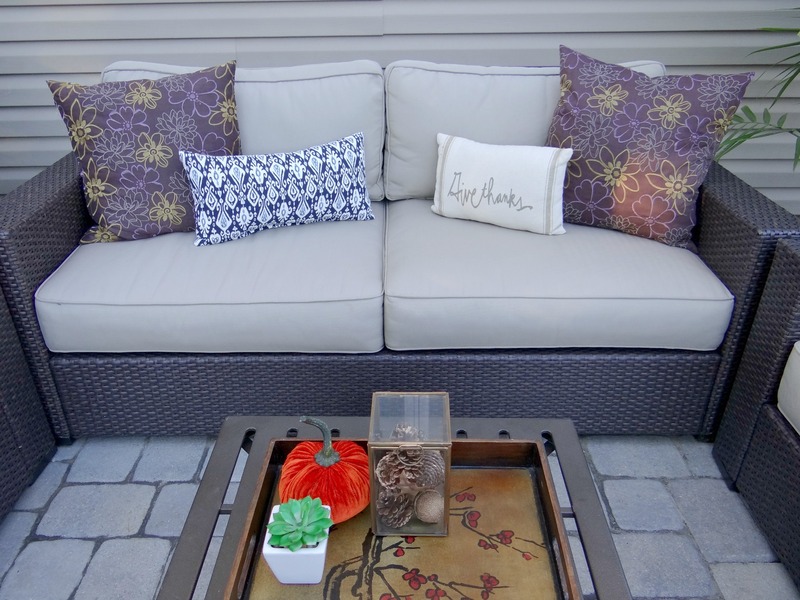 This post is part of a Fall Outdoor Decor Blog Hop, hosted by my friend Tara from Lehman Lane. Be sure to check out all the beautiful tours at the end of this post. 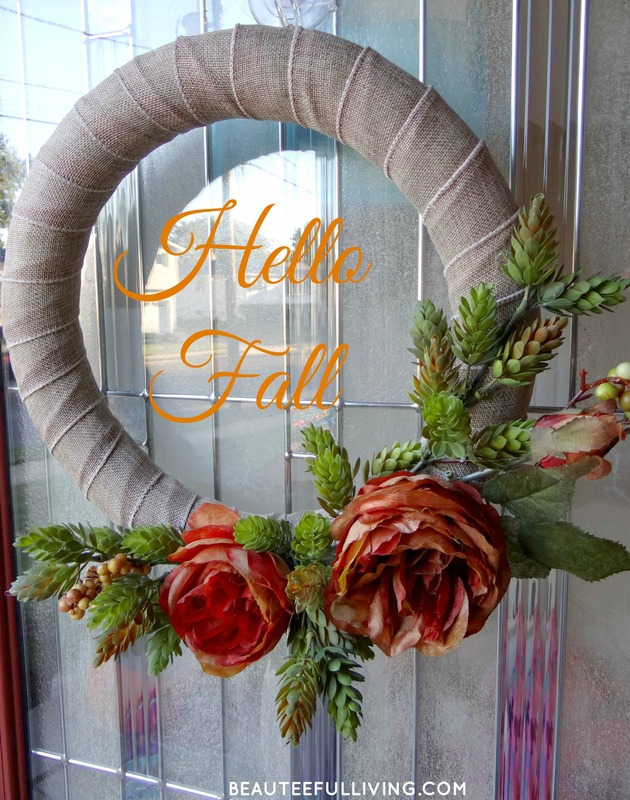 I replaced our summer wreath with this new DIY wreath that I made for fall. This project will be shared with my e-mail subscribers next month as part of my upcoming e-book, titled “12 Months of Beauteeful DIY Projects.” If you’re not already subscribed to the blog, you can subscribe here. We had this myrtle tree planted last fall after our new pool was installed. 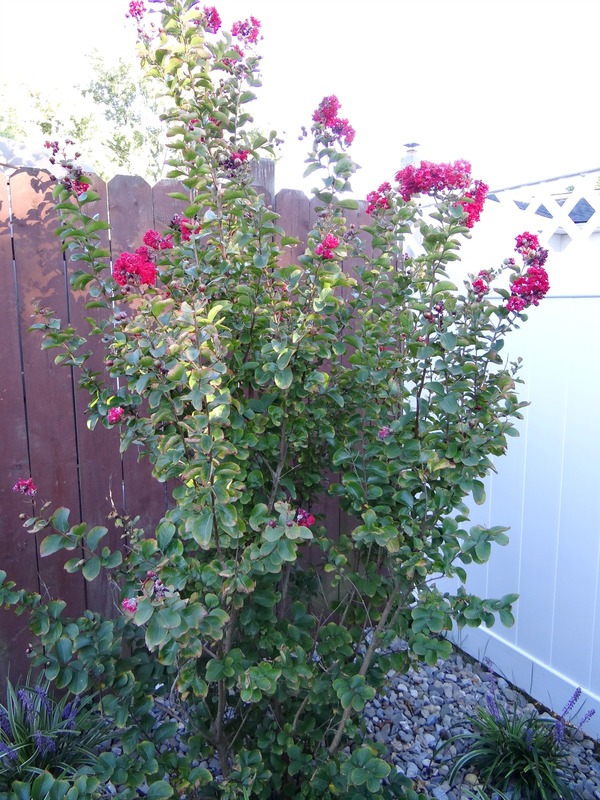 We were told this myrtle was fast-growing and had beautiful blooms that blossomed from summer into fall. Our landscaper was right! It’s almost October and there’s still plenty of blooms on this tree. I love this little sitting area. Now that it’s fall, I made a few decor changes to this space to give it more of a “fall” type of ambiance. Pillows — I can’t get enough of them! Our majestic palm (Ravenea rivularis) tree is still going strong. I kept the decor minimal for this outdoor sitting area. Cute harvest decor alert below. Thank goodness my kids don’t treat these stuffed decor items like toys anymore. 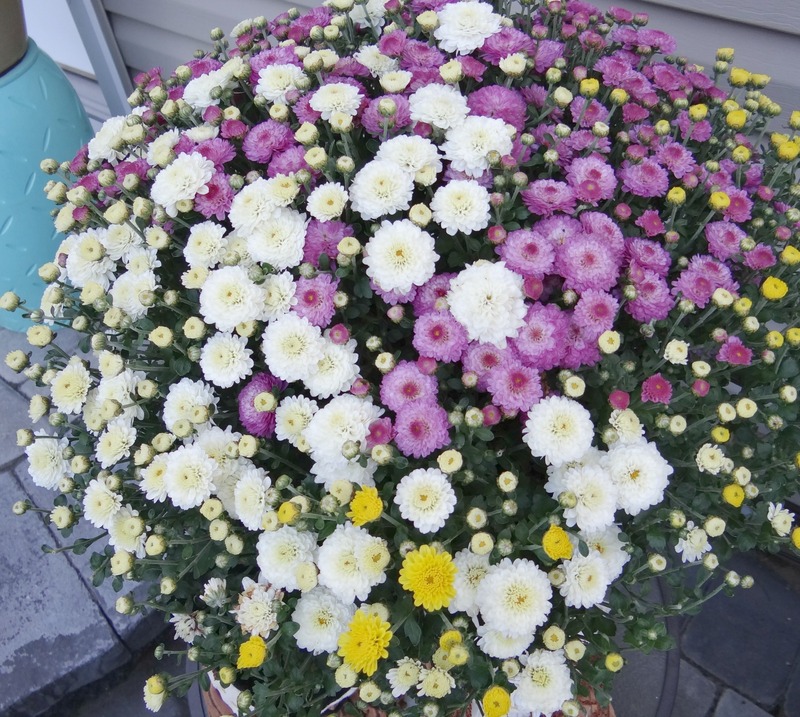 Multi-colored mums. Can’t decide on a color? Here’s 3 in one pot. Genius! This sign spells out all the beautiful things to LOVE about fall. Wishing you a great season! Like this post? Please PIN / Save / Share. What’s your favorite way to decorate for fall? Have a question or comment? Thanks for reading! Xo, Tee. I always love seeing your backyard – it looks so relaxing!! Your backyard looks so pretty! 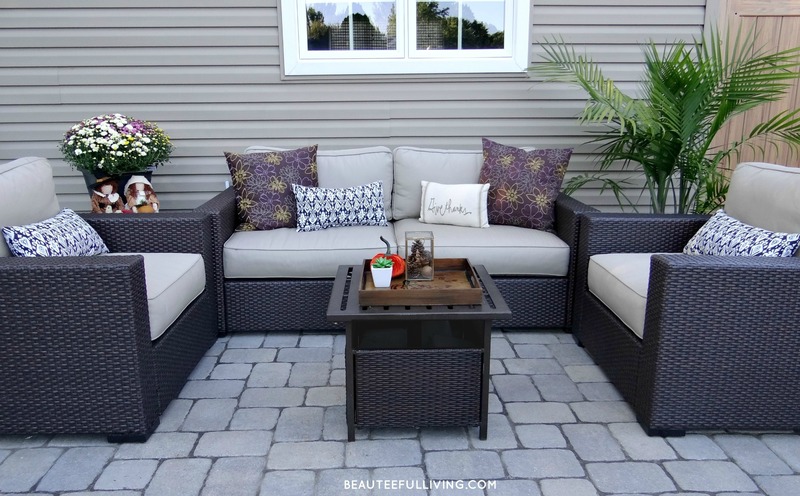 I would love to spend a cool fall evening in your sitting around – it looks perfect! I LOVE that wreath! And the colors of your mums are gorgeous! 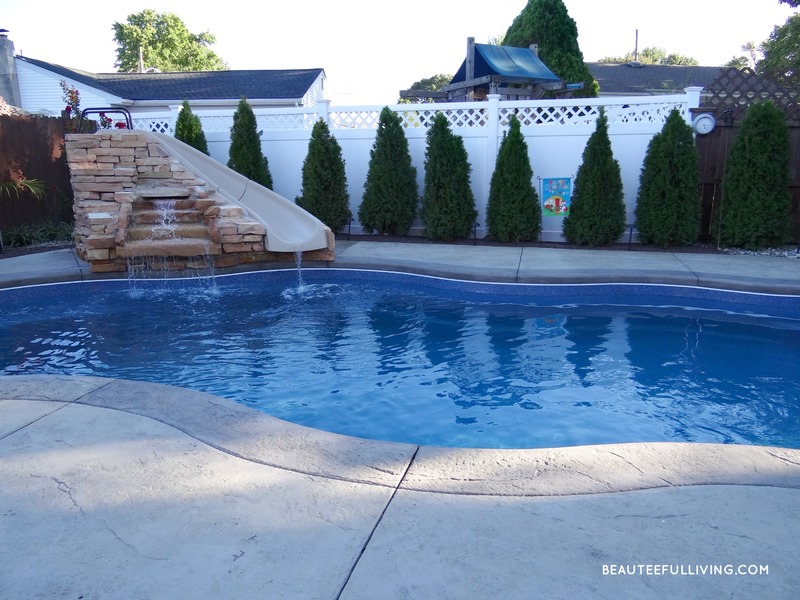 Your pools slide is so fun too – I love pool slides! Such a gorgeous outdoor set up and SO awesomely decorated for fall. Love, love, love it! Your yard is so gorgeous! 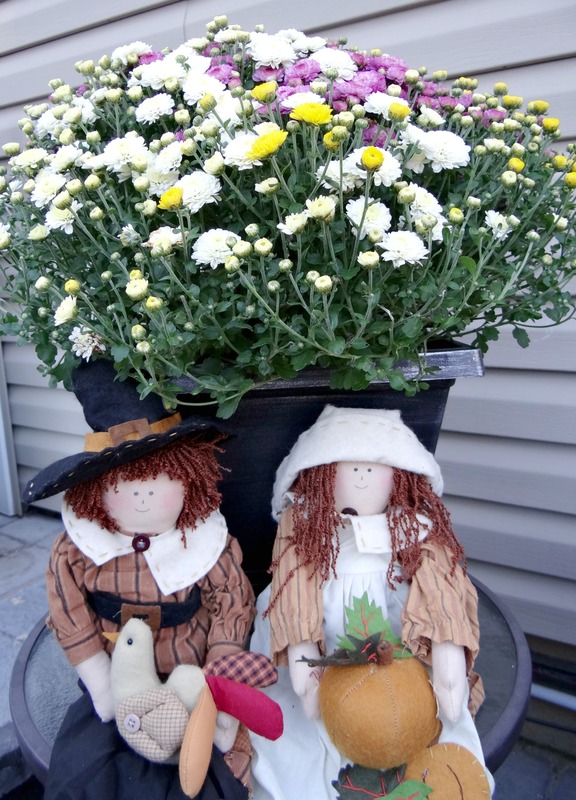 I love your fall touches, especially multicolored mums! I haven’t seen those around here, did you pot them yourself or buy them that way? So beautiful! I love decorating. The colors you chose are my favorites. I love anything purple or blue. I love the outdoor furniture you chose. I wish I had a outside deck to decorate. Your wreath is one of my favorites that I’ve seen this year…so pretty!! 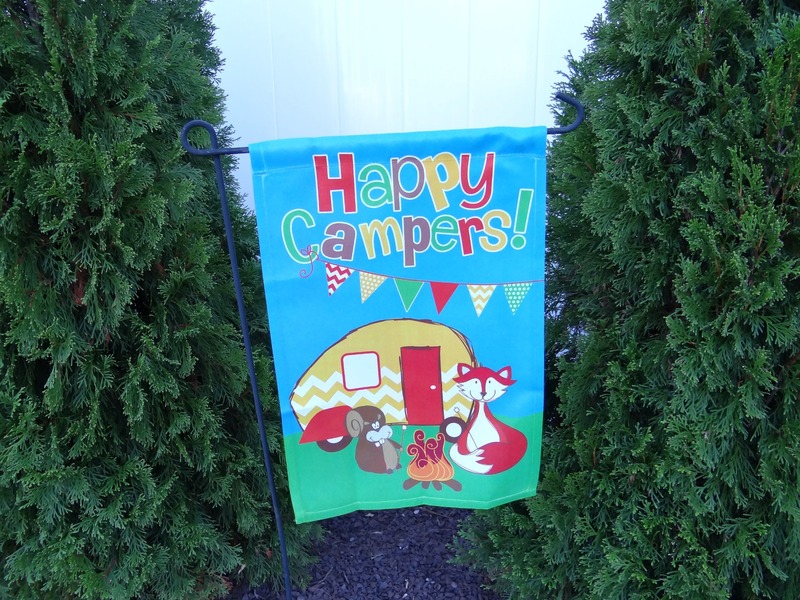 And all of your outdoor decor is so lovely. 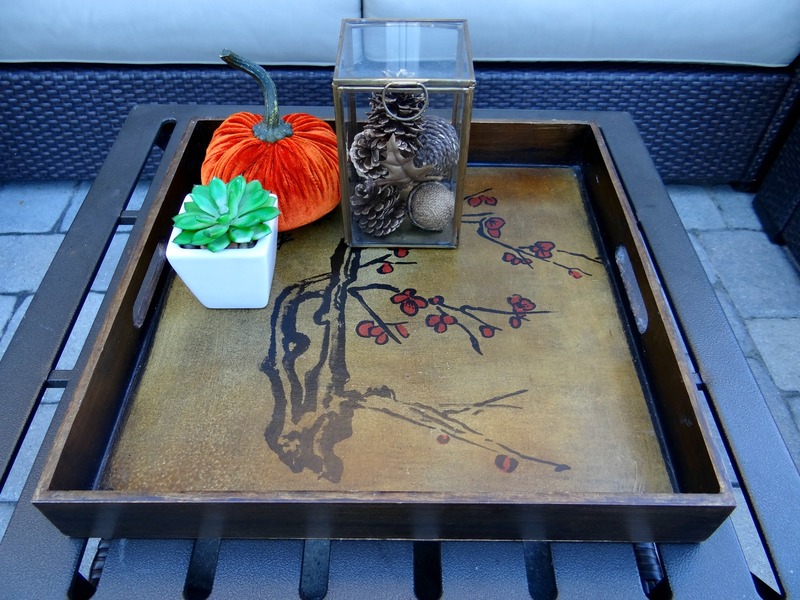 I especially love the fabric pumpkin on that tray…super cute! Love that little tray! That pool.. so amazing! I won’t be able decorate my deck in the backyard thanks to a rowdy puppy who destroys everything. Your tour has excited me about fall. I’m looking forward to decorating my small front porch with some of these ideas. It’s amazing how the subtlest of changes can make such a difference. I’ve made it a point to start making these changes as well (more so in the house) just to make the house more season-appropriate. 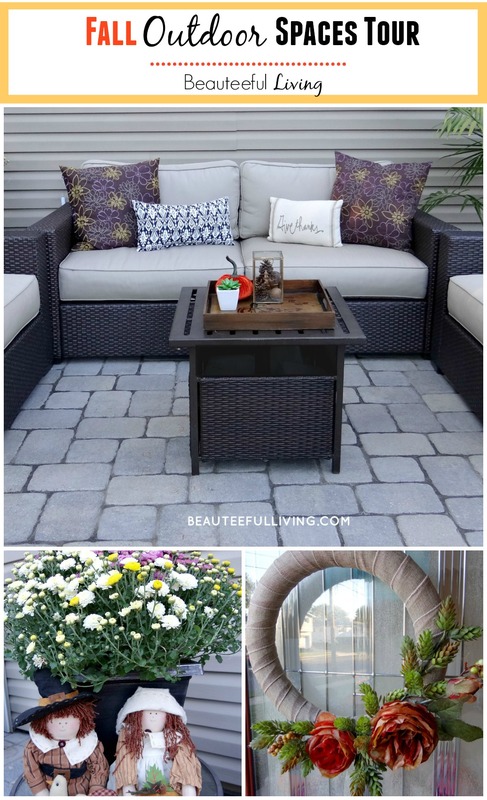 Your outdoor space is so beautiful! I love how minimalist the sitting area is especially, I agree that those pillows are fantastic! And I adore succulents, that was a great touch to add to the table as a decoration! Your myrtle tree is beautiful and I’m sure your kids are sad about the closing of the pool! Something to look forward to next year. It’s a beautiful space! Just a beautiful space Tee!!! I love the new fall wreath you made and those arborvitaes are going to look amazing behind your new pool. 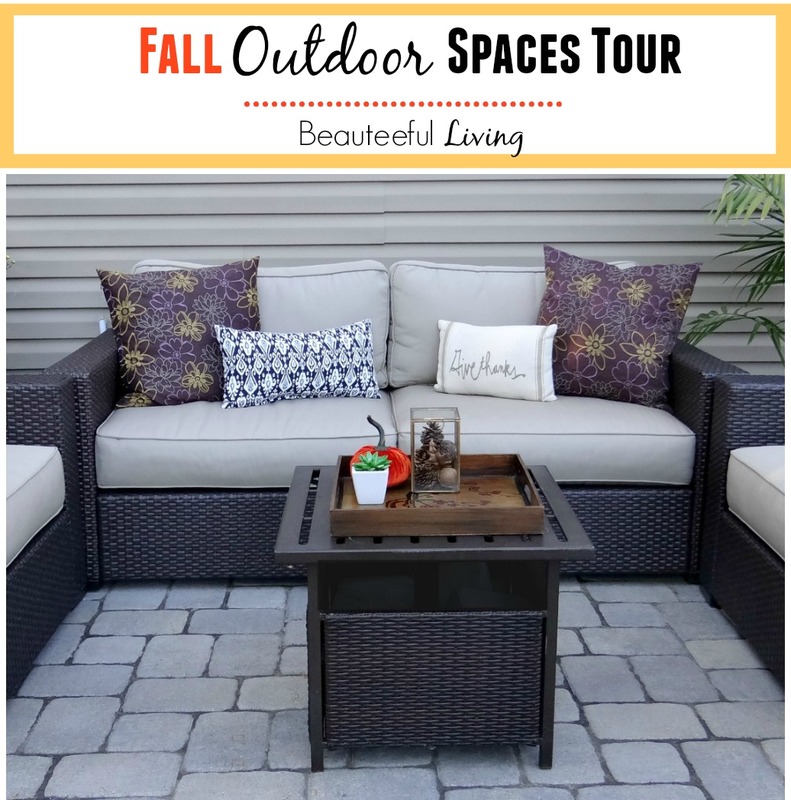 Thanks so much for sharing your outdoor space!!! 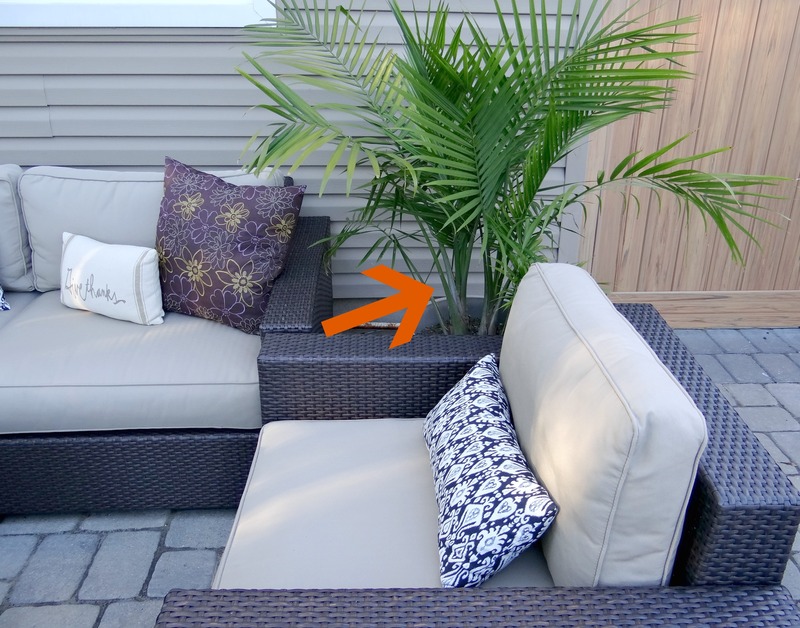 I love the minimalist approach you took to the sitting area – it definitely enhanced your pillows and flowers! 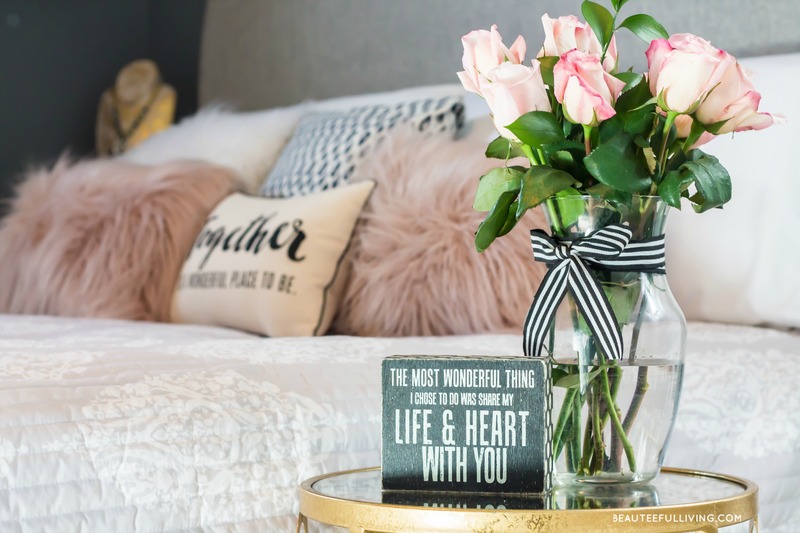 And that DIY wreath was gorgeous! Here’s to relaxing the night away on the cozy fall nights. Your yard is so pretty as always! Love all the pillows you have out! Thanks so much, Sage! Autumn is among my favorite seasons too.